Last week I headed to Manchester one night after work to learn to macrame with Wool And The Gang. You may have heard me mention them before, I’m a little obsessed. 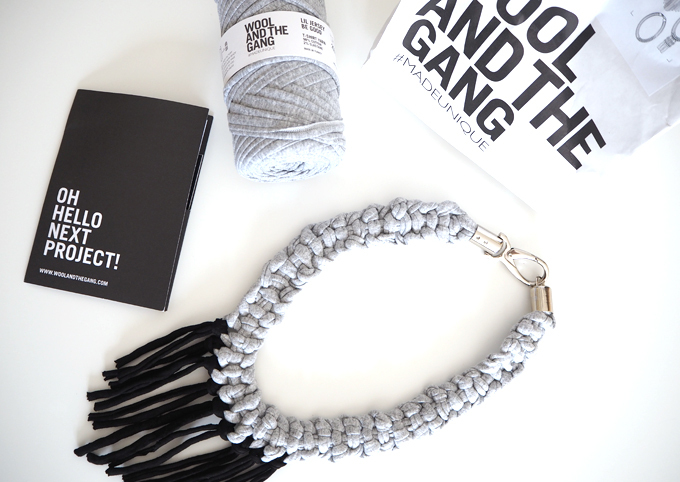 Wool and the Gang are a London based company who sell crochet and knit kits as well as run online and local workshops teaching people a variety of crafts. When I spotted they were holding a workshop near me I jumped at the chance and signed myself and my mum up straight away. I had never tired macrame before but was keen to give it a go after seeing some amazing creations, made using the technique on Pinterest and Insta. 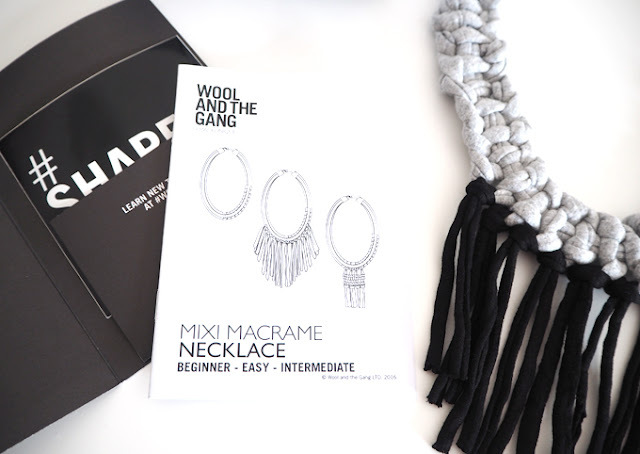 The workshop focused on making a simple macrame necklace at a beginners level. The event was hosted at Kosmonut in Manchester, a quirky bar in the cool Northern Quarter of the city. When we arrived we met our tutor and received a kit each containing Jersey Be Good yearn, instructions and everything else needed to make our very own necklaces. There was only us and two other girls in the group so the atmosphere was relaxed and cosy and it was lovely to chat and get to know everyone whilst making our necklaces. 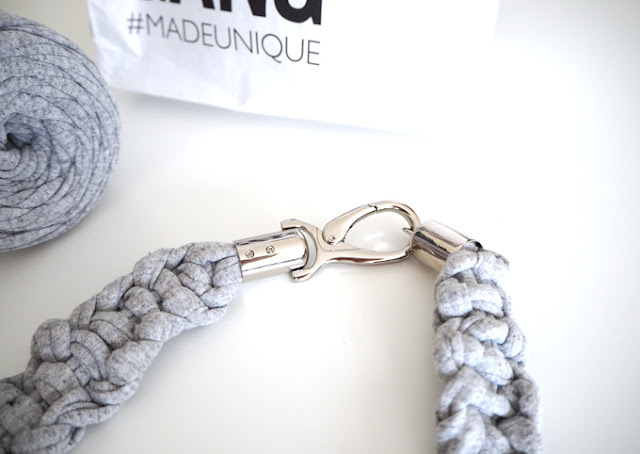 Macrame is a technique of making knots in fabric to create a structure, without using needles or hooks like knitting and crocheting does, all you need is your hands. I found it really easy to pick up and loved how quick the thick jersey worked up into a chain. 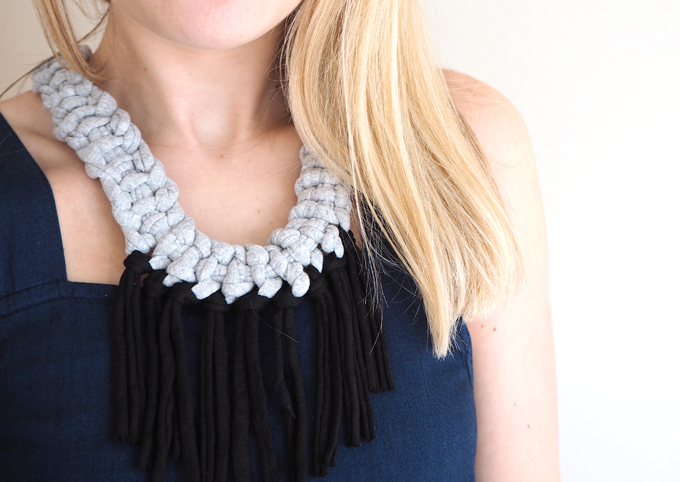 We started off with a simple square knot to make our necklaces then added tassels for embellishment. The kit shows you a few more variations and techniques if you want to advance and try something new, but I kept it simple for now and love the results! 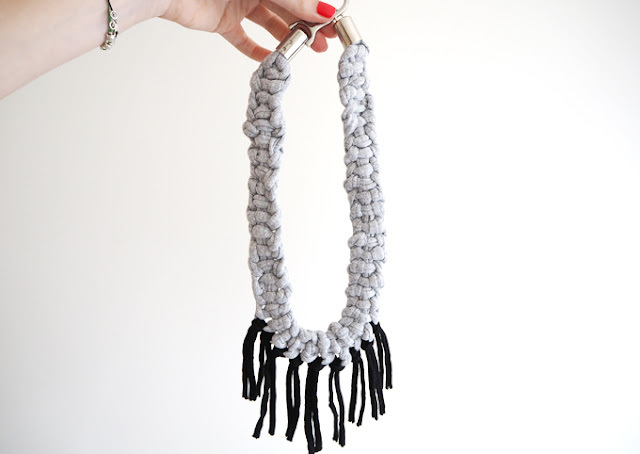 The two hours flew by and we headed home after a great night with our very own handmade macrame necklace. 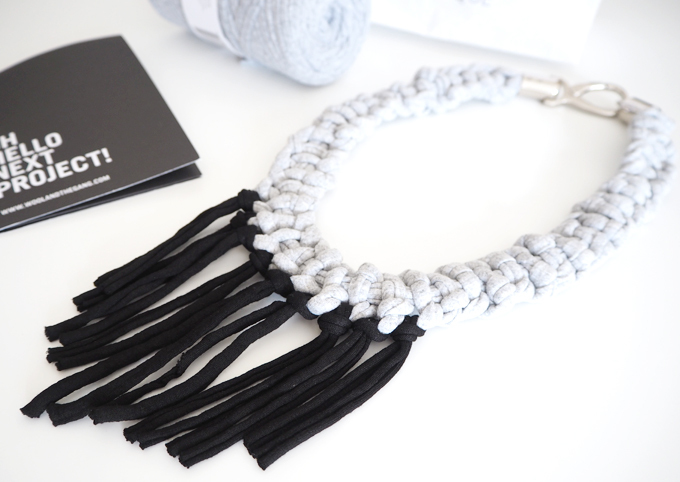 I can’t wait to make some more necklaces with the left over yarns and spare clips we received with the kits, they will make the best presents for friends. If you want learn more about Wool and the Gang or look for a workshop near you head to there website here.